Doras provide support to people who have experienced or witnessed racist incidents. We help people to report the incident to the Gardaí (police) if appropriate or online via ireport if preferred. Report the incident at any Garda Station. We work closely with the Gardaí to address and prevent racist incidents. In some cases, it may be possible to take legal action. We can provide you with information about your rights and the options for formal reporting. 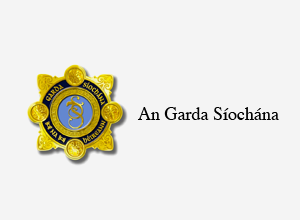 We offer an accompaniment service for formal reporting if you wish to report to the Gardaí. Speak to us in confidence by phoning 061 310328 or by email us at reportracism@dorasluimni.org for advice and support about what to do next. Report racism online. 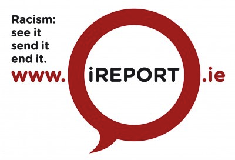 Whether you would like to make a formal complaint or not, you can fill report the incident via ENAR Ireland’s online reporting mechanism at www.ireport.ie. WHAT IS A RACIST INCIDENT? Physical – violent assault, threatening behaviour or some other physical attack. Verbal – name calling, ridiculing, telling racist jokes, making threats by social media or text message, racist graffiti. Other – ignoring, excluding, distributing racist literature, damaging property. Some forms of racist incidents may involve criminal actions such as assault or vandalism. Bunreacht na hÉireann The Constitution of Ireland 1937.